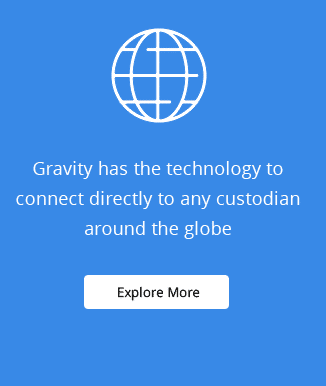 Gravity’s EVP & Director of Strategic Distribution, John Osland is spearheading the rollout of Gravity’s third party fee sharing program both domestically and internationally. This robust business and practice development program embraces warm referrals through self-sufficient international localization and redistribution. Gravity has been successfully incubating this program in Canada and in the United States with qualified experts. We have developed the templates and contractual agreements covering the tremendous opportunity set in global wealth management representing a $100 Trillion professional market. Founder James Damschroder and Osland envision the majority of Gravity’s revenue emanating from these strategic partner channels. Gravity is keen to now replicate what we have learned internationally in Canada across Europe, Asia and the Americas. The timing is ideal, as Institutional RoboAdvisory is such a hot and disruptive space. Gsphere has emerged as the premier digital advice offering for institutions and financial advisors. Founded in 2000, the Gsphere patented platform technology is deep, novel and efficacious, wonderfully suited to profitable partnerships based on recurring basis points for all assets on the platform.